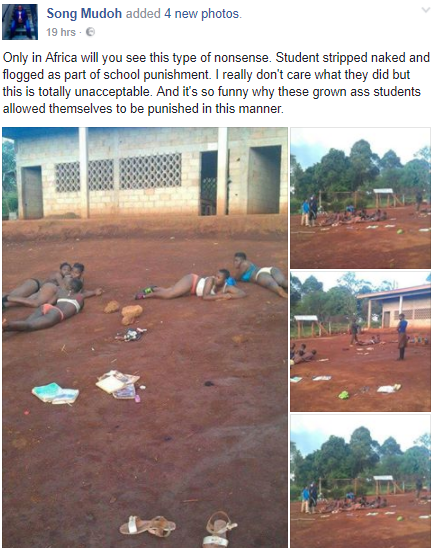 Well it seems to me that it's only in Africa that we get to see some humans who behaves like animals because this stunt pulled by this secondary school teacher is barbaric. 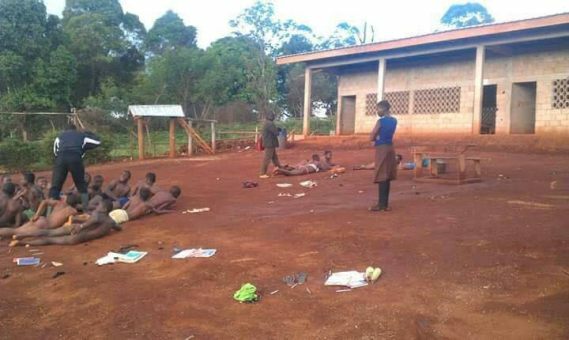 The below photos shared by a facebook user have sparked outrage online as to why would someone in is right senses go this mile just to flog students for coming late to school? 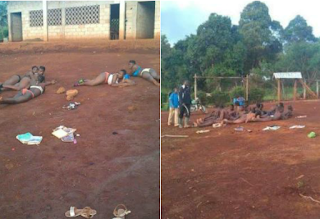 According to the facebook user, the whole drama took place at a public school in Baham in the Western region of Cameroon.